Allandale House: A Creative Getaway | Shelby White - The blog of artist, visual designer and entrepreneur Shelby White. A-frame houses have always seemed like they would be strange places to live. The extreme roof angle just seemed like it would be a major space limitation. 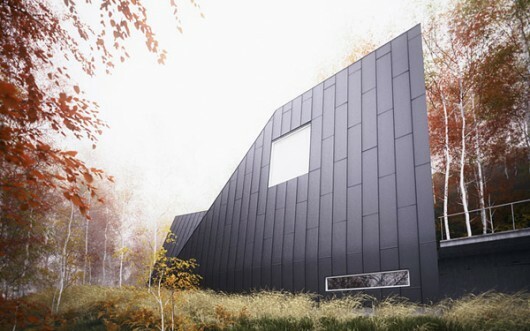 Of course, if I had the opportunity to stay in this modern vacation house by William O’Brien Jr., I wouldn’t complain. 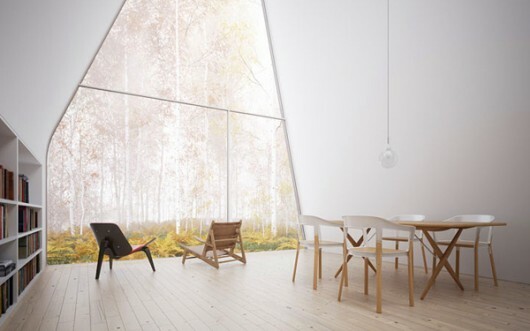 The interior is so pure and simplified. 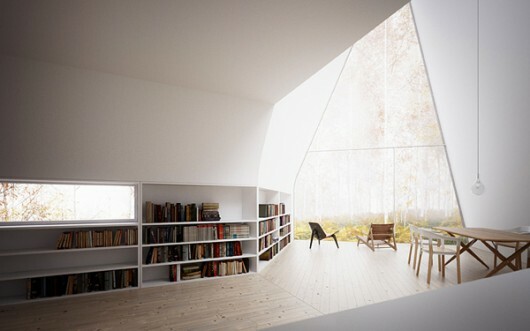 The use of space, from the smooth angles of the ceiling to the inset bookshelves gives the house its beautiful nature. 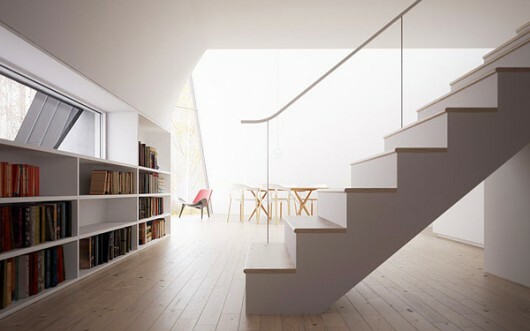 The house has a fairly large amount of space considering it’s vertical composition. It’s divided into three A-frames. The western A-frame (left side) contains a library, wine cellar and garage. 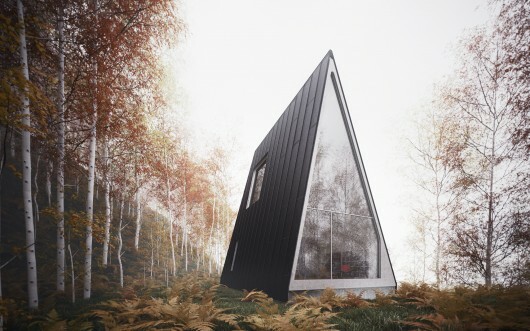 The middle A-frame has two floors of bedrooms and bathrooms while the eastern A-frame (right side) has the living, kitchen and dining room areas. 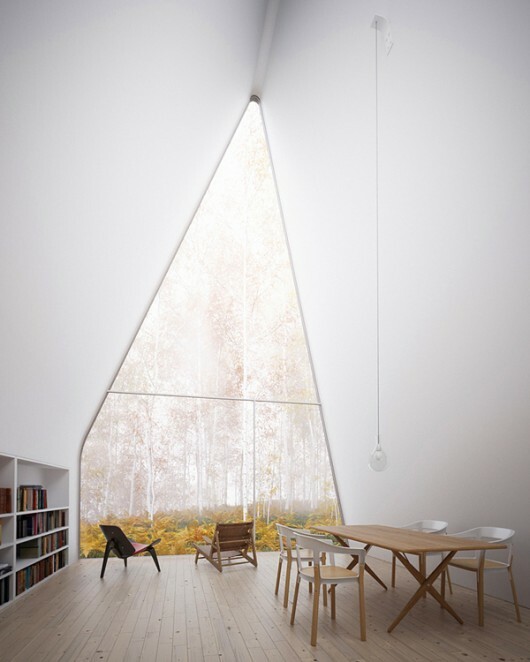 How amazing this would be to wake and get creative next to the massive windows while the fog rolled in. 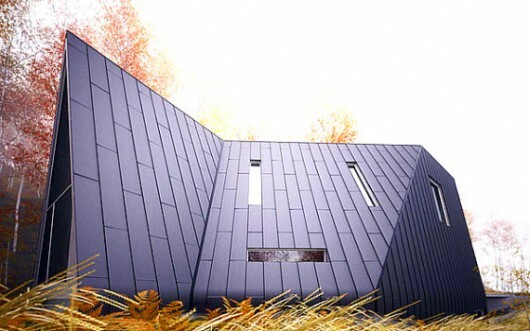 Perhaps this house is more of a creative getaway than just a vacation house. Nice find, I would love to live and work in a place like that! so crazy that these are renderings…. I was hoping someone would pick up on that ;). Kevin – no kidding – these are NUTS!!! I want a ski lodge modelled on this building, it’s gorgeous. I love the minimalism in both the design and the illustration. I could just sit and watch that view for like forever.